Fred Rogers aka "Mister Rogers" was a children's television actor, producer, musician, puppeteer and ordained Presbyterian minister. His show "Mr. Roger's Neighborhood" was watched by millions of kids. At its' peak, 8% of television sets were tuned into his show each week. He became an icon of children's entertainment and education. especially with preschoolers. Nothing was said without purpose. He carefully honed every word of his shows. Let look at the strategy Mister Rogers used to talk with kids. Anticipate the ways children might misinterpret what is being said. Here's an example. In one scene, they go to the hospital to watch a patient get his blood pressure checked. They were going to say the nurse, who was taking someone's blood pressure, was blowing up the blood-pressure cuff. Fred had them change the line to "I'm going to puff this up with some air." He didn't want children to hear "blowing up" and be afraid of the cuff. Younger children take things literally. Remember this when your talking with them and avoid using words they will take literally. Words or phrases like "give your heart to Jesus" and "Jesus is the door" will be taken literally by younger chidren. If you do use abstract words and concepts, take the time to explain the meaning to the kids. State the idea you wish to express as clearly as possible, and in terms preschoolers can understand. An example - It is dangerous to ride your bike into the street. Rephrase the words in a positive manner. An example - "It is good to play where it is safe." Connect them with authority figures. First and foremost, this should be their parents or legal guardian. An example - "Your parents can tell you where it is safe to play and ride your bike." Add a motivational idea that gives children a reason to follow your words. Here's an example. "Your favorite grown-ups can tell you where it is safe to play. It is important to try to listen to them, and listening is an important part of growing." If you watch an episode of the show, you might say it is laid back and slow compared to today's high-energy, fast-paced kids' shows. But a look behind the scenes will reveal an incredible commitment to connecting with kids in a way they can understand. Rogers collaborated with several academic researchers and child psychologists to help the show make great connections with kids. Rogers would spend hours talking with child-development experts before finalizing shows. He wanted every episode to be the result of a careful, academically-informed process. Connecting his message with children in a way they can have a clear understanding of what he was saying, was a big deal with Fred. Fred also addressed common childhood fears. He helped kids overcome fears like going to the hospital, going down the drain in their tub, the first day of school, parent's divorcing, and being cared for during times of trouble or uncertainty like during a war. Fred had a way of bringing comfort and hope to children even in the darkest of times and most disturbing events. During times of war, he was often called upon by the President to bring hope and comfort to children. He listened to feedback from his audience and made adjustments based on it. An example - a viewer who was blind called in and said she was worried about the fish being fed when Mr. Rogers didn't specifically say he was feeding them. He was feeding them during every show, but didn't always announce it verbally. But after receiving the blind lady's note, he began announcing the feeding every week. Attention to detail. Fred's attention went all the way the simple things he did every episode like putting on his sneakers and cardigan sweater which gave him a more fatherly image. The image he portrayed made children relaxed and trusting. 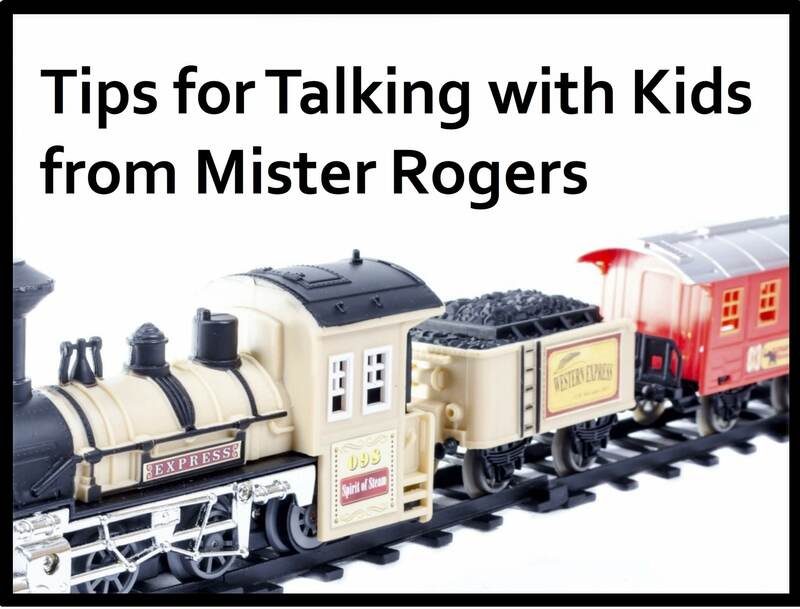 Here's some takeaways for us based on Mr. Roger's success with children. When working with preschoolers, try to use concrete words rather than abstract terms. Think through any words that might confuse children or make it be hard for them to understand the concept you are trying to communicate. Use positive, proactive words and phrases rather than negative ones. Reinforce to kids the importance of listening to and obeying their parents. Partnering with parents by sharing with children how important their parents are, is a big deal. Show or explain the benefits that will come from following what you are teaching. Talk about fears kids face and how to overcome those fears through Christ. Point kids to the comfort and peace that is found in Christ. Listen to feedback about your teaching. Better yet, seek it out and ask for it. Listening to feedback with an open mind will help you become a better communicator for kids. Pay fantastic attention to detail. Excellence is the little details done well. If you've never watched an episode of Mr. Roger's Neighborhood, head over to YouTube and find one. Watching him interact with kids will inspire you and give you more valuable tips on communicating with kids. Your turn. Did you watch Mr. Roger's Neighborhood growing up? Did your kids or grandkids watch his show? What other ideas and tips did you pick up from him? Share your thoughts with us in the comment section below.